The Kimberley Process started in Kimberley, South Africa, in May 2000, to develop ways to stop the trade in ‘conflict diamonds' and break the link between diamonds and armed conflict by rebel movements and their allies. From the onset the Kimberley Process consisted of representatives of governments, the diamond industry and civil society (ngo’s). It has kept this 3-partite structure throughout. 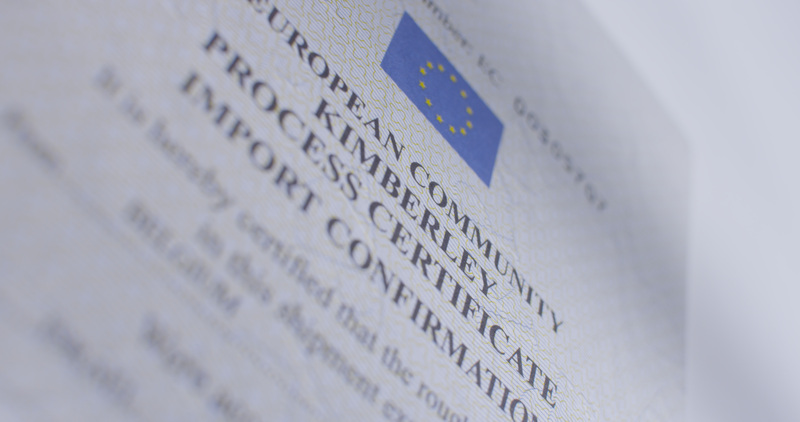 In November 2002, after 2 years of negotiations the Kimberley Process Certification Scheme (KPCS) was launched in Interlaken, Switzerland. The international implementation of the KPCS entered into force in 2003. As of November 2018, the KP has 55 participants, representing 82 countries, with the European Union and its 28 Member States including Belgium, counting as a single participant.